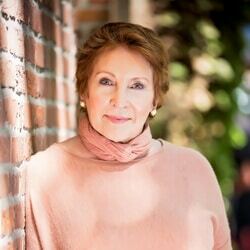 Speaker Robin Joy Meyers is an author and fear strategist empowering women to claim their voices. With over 25 years of experience both in the corporate and non-profit sectors, Robin shows women how to create their best lives. Her expertise in leadership, mindset, power of self and fear management empowered thousands of women all over the world. With over two decades of experience and an Amazon bestselling book Alone but Not Lonely, Robin is an acclaimed expert of women’s empowerment. Her unique approach to fear management provides a fresh and effective method to self-improvement. She has spoken already in front of large audiences in both the United States and Canada. Robin is a true inspiration for women all over the world. 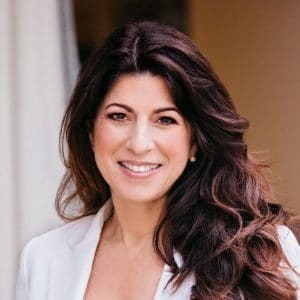 She has over 25 years of experience in mentoring, training and education both in the corporate and non-profit world, which empowers women to speak their own mind. As an expert of change, Robin is specialized in fear, leadership, mindset and self-confidence. She teaches women how to create their best life by using their own voice. It is not realistic to live a live without fear, but fear is something we can take advantage of. 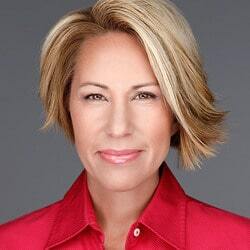 Speaker Robin Joy Meyers is frequently featured on national networks such as ABC, CBS, Fox News and more. Her radio show Activate Bold Choices is inspiring thousands of people to live their lives with purpose and passion. Her keynotes are always empowering and help women in realizing their self-worth. For the best results, speaker Robin Joy Meyers delivers her presentations with humor and a great deal of positivity. It is time to embrace change and use your own voice! Book Robin to realize your self-worth and move forward in your life. Move forward by using fear – the other F word! Using her background as a molecular geneticist and the latest scientific research on the brain, speaker Robin Joy Meyers shows the audience the simple strategies which make a big difference. Unleash your potential and recognize the advantage of fear for your own benefit! Robin will show you the 3-5 most important strategies which you can implement immediately for your improvement. 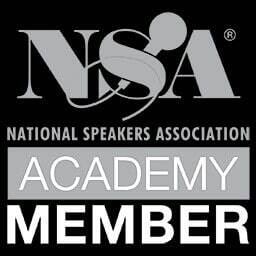 Book this keynote and improve your-self awareness, decision-making and relationships! The key to success is knowing your best self. Get the power back and live the best life you deserve! 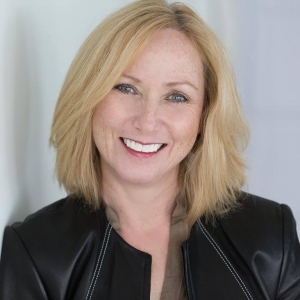 Speaker Robin Joy Meyers will teach you how to use your skills and talents to improve your professional and personal relationships, performance and communication. She will also show you how to increase the positive outcomes in your life by improving decision-making and cutting down on multi-tasking which interferes with productivity. Negativity can truly sabotage your way to the top. In this presentation, speaker Robin Joy Meyers will show you how to increase your positivity and productivity. Identify the roadblocks and learn the three most important must-do’s to change and enhance productivity! Robin will teach you how to identify the four triggers of self-doubt to remove the imposter syndrome mentality. Mindset works like training a muscle – she will prepare you the new routine! You must make a conscious effort and prioritize your self-care to improve your self-worth. To know you are worth it, you need to believe it first: Robin will teach you how to be your best friend rather than your worst critic. Commit yourself to change with Robin who will show you the path to reducing stress, increasing your happiness and avoiding the potential for burnout. Take part in this keynote to meet your most powerful, truly awesome self!